As a PH we don’t enjoy the luxury of hunting for ourselves too often. 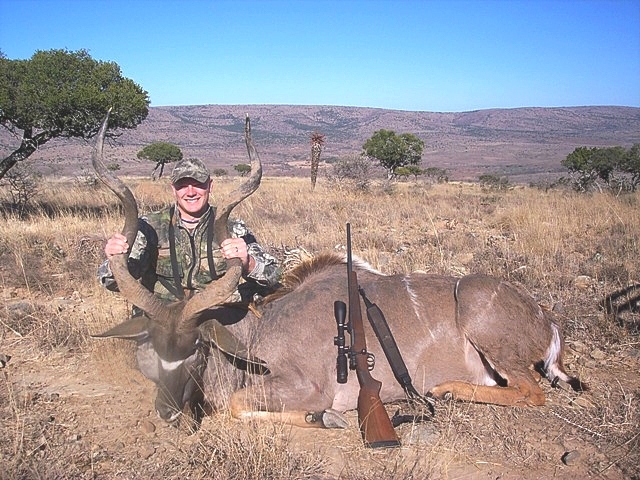 I grabbed the opportunity in August 2008 and shot this bull. It was running at about 150m and was one of two on the day. I used my .308, loaded with the 130gr HV in front of 45gr S335. The longest horn was 51.5" and the bull weighed an impressive 185kg on the hook, gutted and skinned. Having to go back to conventional lead core bullets is hard to imagine. These bad boys impress every time - with penetration and trajectory. Keep up the great work and keep them coming !! !